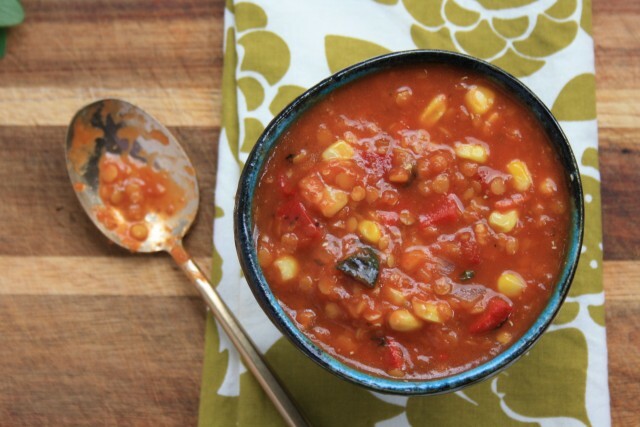 Hearty food for chilly days. According to Schubenacadie Sam, we’re in for an early spring. The thing is, here in Southern New Brunswick it barely feels like winter has begun, considering our paltry snowfall and clear sidewalks. The idea that what has thus far passed for winter might be the grand sum of the season feels like wishful thinking. Especially after last winter. Snow storm or not, here are six comforting recipes to help you through the homestretch of winter. Who knows where the weather forecast will take us over the next six weeks. Whether there’s a blizzard on the horizon or an early thaw, it’s still going to be cold and damp which means that these recipes for winter comfort food will be welcome in my kitchen. 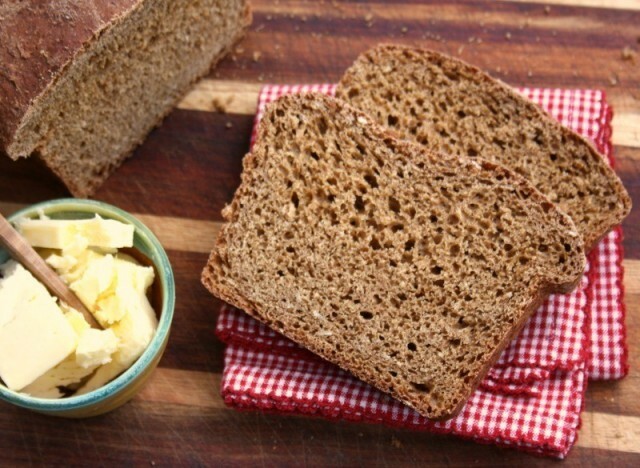 Oatmeal brown bread is a classic with baked beans but it’s equally good toasted with butter and jam. And have you tried making grilled cheese with this hearty bread? 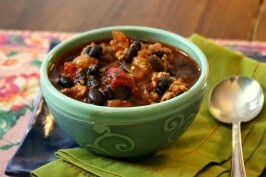 A hearty chili that combines some sweet with heat. 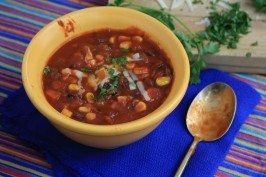 It sticks to your ribs, as any good chili should, but isn’t quite as heavy as the classic ground beef version. 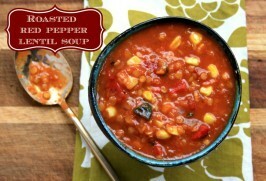 Ready in 30 minutes, nothing can beat this soup when you’re rushed for time but want something wholesome and warming. A thick, soft cookie that isn’t too sweet. 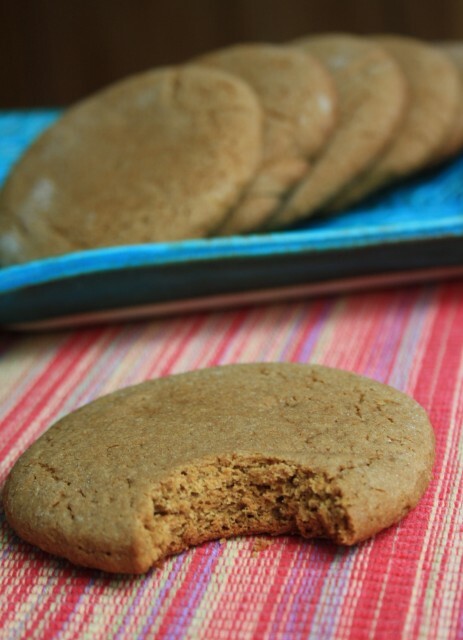 Enjoy a fat molasses cookie with a cup of tea or serve them as an afterschool snack with peanut butter or a slice of cheese. Gingerbread is one of the most comforting cakes you can serve. The slightly sticky texture is always delicious and the smell while it bakes is divine. Plus, gingerbread manages to span the two worlds of snack and dessert and fits right in, in both places. 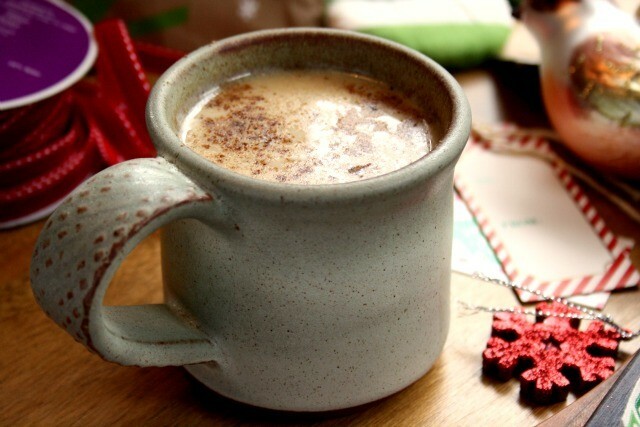 A cup of hot milk is comforting when it’s damp and chilly but stir in a little molasses and some gingerbread spices and you have yourself a delicious warming drink that works for breakfast, late afternoon or bedtime. 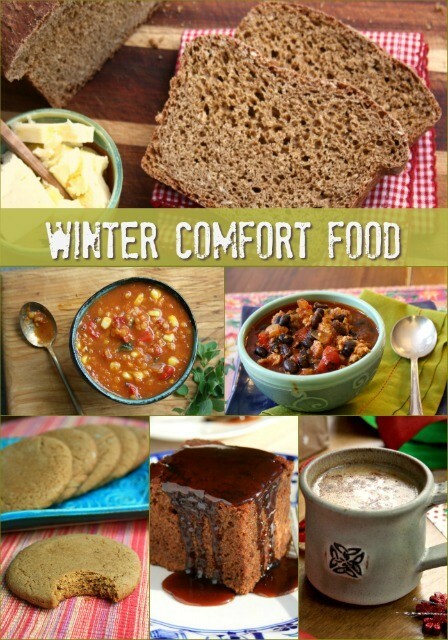 Do you have winter comfort food favourites? I’d love to hear them. A sticky gingerbread served warm – is there any dessert more comforting? Hot apple crisp comes close but there is something about the texture and spicing of a gingerbread that wraps your up in a blanket. 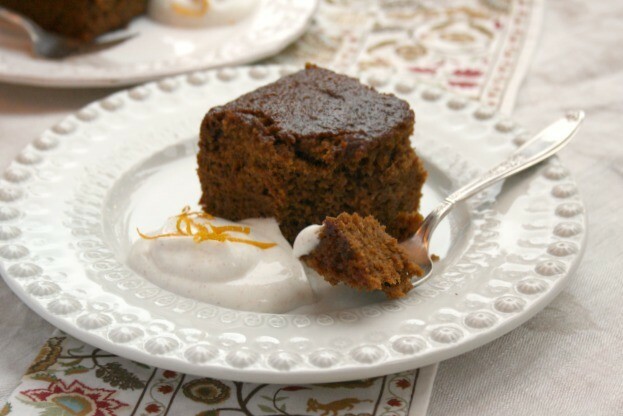 I have been thinking a lot about an orange spiced gingerbread after reading a novel that featured just such a recipe (Delicious! by Ruth Reichl). The whole time I was reading the novel (an okay novel filled with amazing food writing) I was dreaming about eating a piece of the cake and I was delighted to discover the recipe printed at the end of the book. Only the recipe didn’t call for molasses, just white sugar, the zest of two oranges and an abundance of ginger, of course. I can’t imagine a gingerbread without molasses. 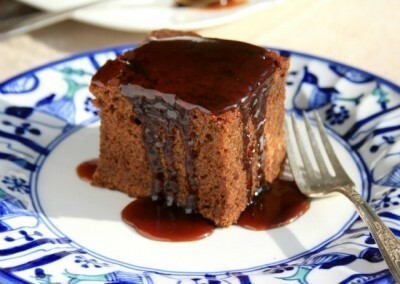 For me, the bright, tangy flavour of molasses is part of a gingerbread’s character. 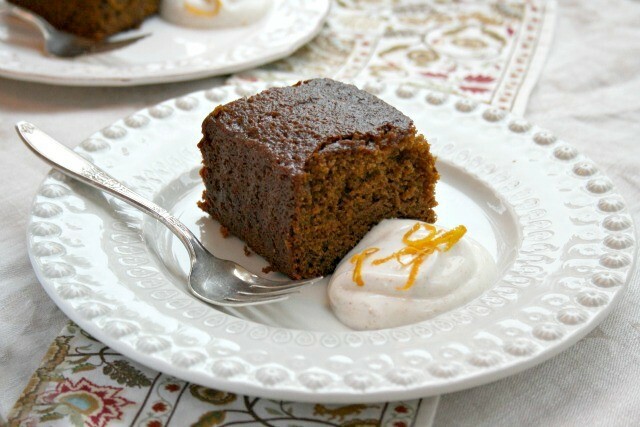 Orange zest is a lovely addition to gingerbread. 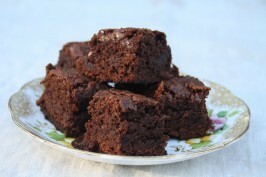 It takes the flavour in a whole new direction and works perfectly with molasses and the spices. You decide just how much orange zest you want to add (a little or a lot). The cardamom can be omitted if you don’t have it on hand. 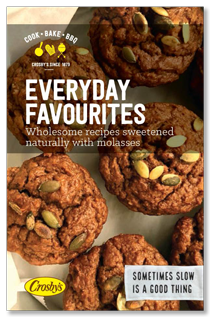 This recipe is an adaptation of a gingerbread recipe found in the wonderful cookbook, Out of Old Nova Scotia Kitchens (recently reprinted). 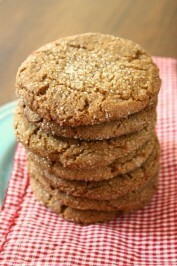 The spicing is borrowed, in part, from the gingerbread recipe in the book Delicious! by Ruth Reichl. Preheat oven to 350 F and line a 9”x9” pan with parchment paper. In a medium bowl, whisk together flour, baking soda, baking powder, salt and spices. In a large bowl cream butter and sugar then beat in egg and molasses. Stir in orange zest. Gradually stir the dry ingredients into the creamed mixture. Stir in the hot water. Bake at 350 until a tester comes out clean, 40-45 minutes. Have you ever noticed that Super Bowl and Supper Bowl are almost the same?  I have never watched the Super Bowl but game day food ideas are flooding my email box so I feel like a fan of sorts — a Super Bowl Food Fan. If you consider Super Bowl Sunday a great excuse to cook finger food and comfort food here are some satisfying suggestions that are cheer-worthy. 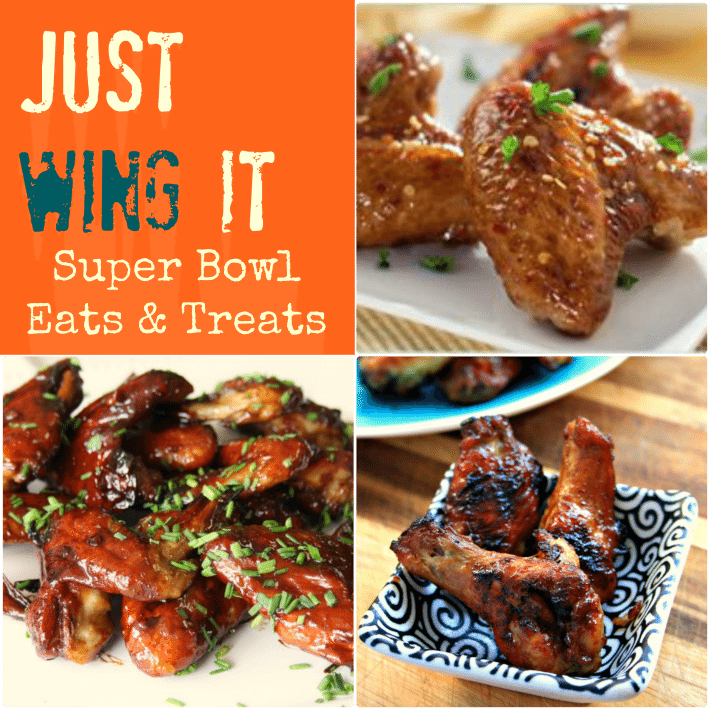 I’ll start with chicken wing recipes since they’re the ultimate in messy finger food. 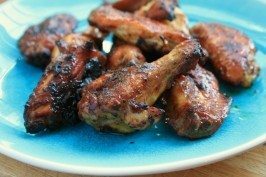 I haven’t met a chicken wing recipe yet that wouldn’t be great with a little (or a lot) of molasses. 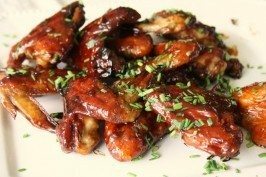 Sticky wings, sweet wings, sweet-with-heat wings, all taste delicious with molasses. Here are our favourite recipes for wings, along with other comfort food for a wintery Sunday afternoon.